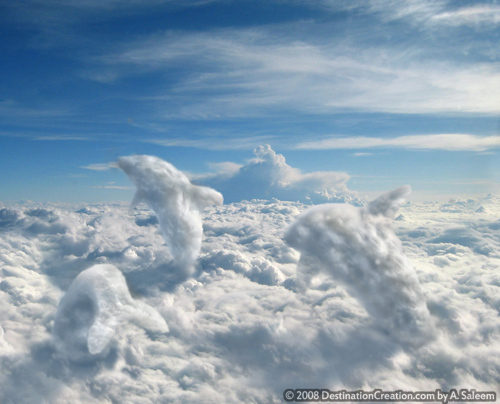 A creation from the DC archives, producing life from the surrounding cloudscape in the form of playful dolphins. 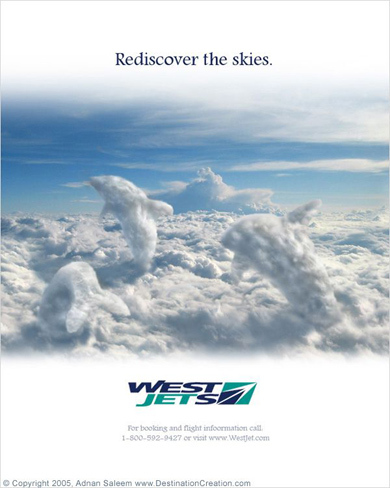 This image placed third in a Worth1000 competition and was used as a creative Airline Ad concept for our 2005 portfolio. The concept was later used for a British Airways advertising campaign.